The weather has started to warm up and this week we were finally able to head outside and play. 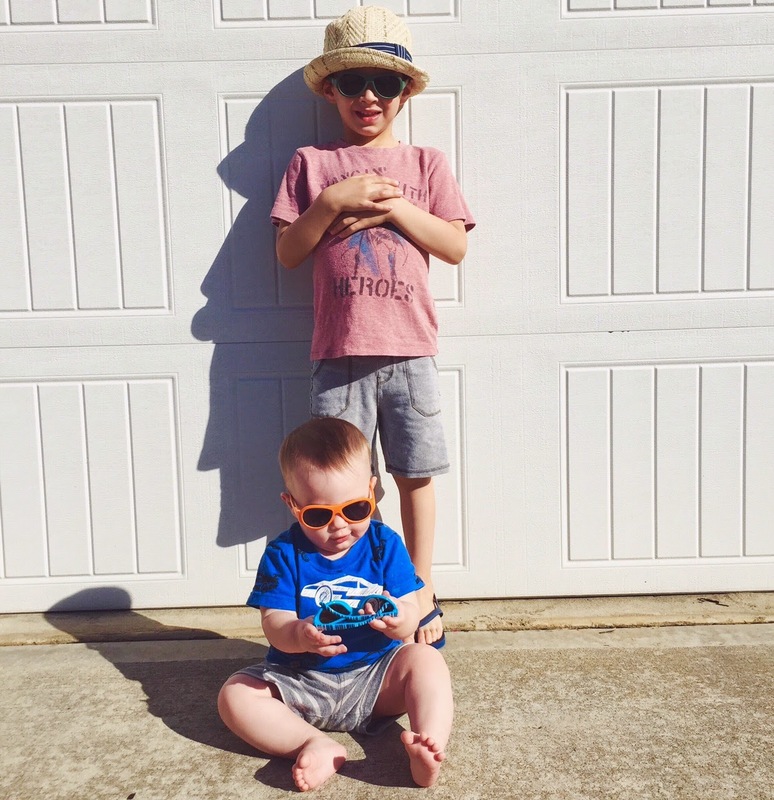 We lathered the boys with sunscreen and grabbed their new Babiators and headed outside for a fun afternoon. 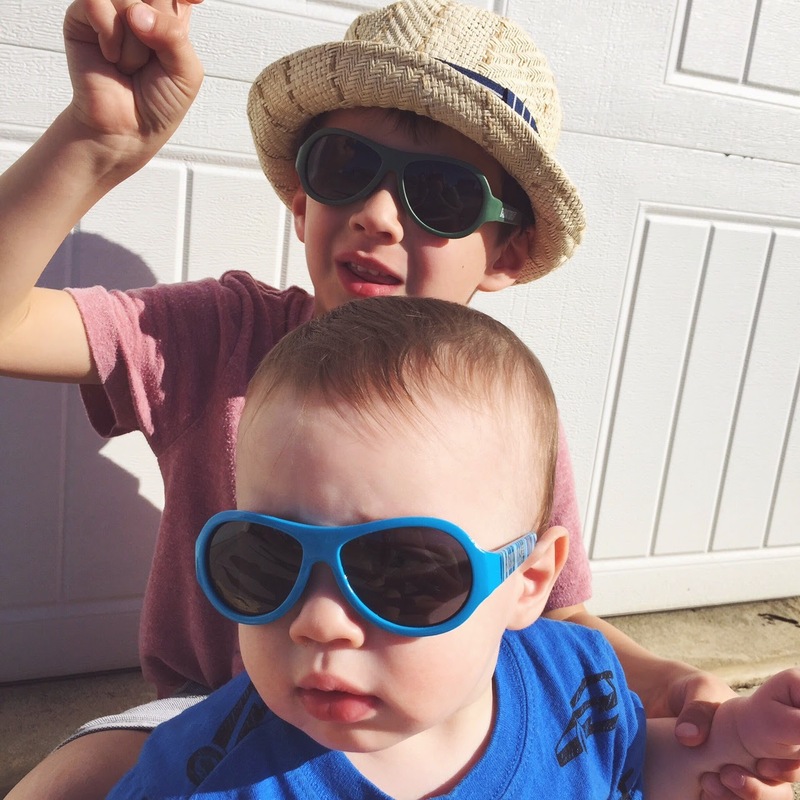 Babiators are the perfect sunglasses for babies, toddles and now they are also available for older kids! Made of flexible frames and shatter-resistant lenses, Babiators are durable, offer 100% UVA & UVB protection and come in a multitude of colors and patterns! 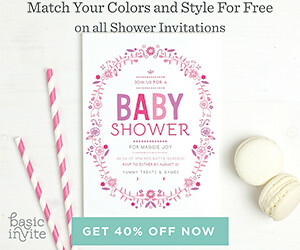 The idea for Babiators was born on a military base in Beaufort, SC, when Molly saw her fellow military wives' kids squinting in the sun while their pilot Moms and Dads stood protected and stylish in their aviator sunglasses. 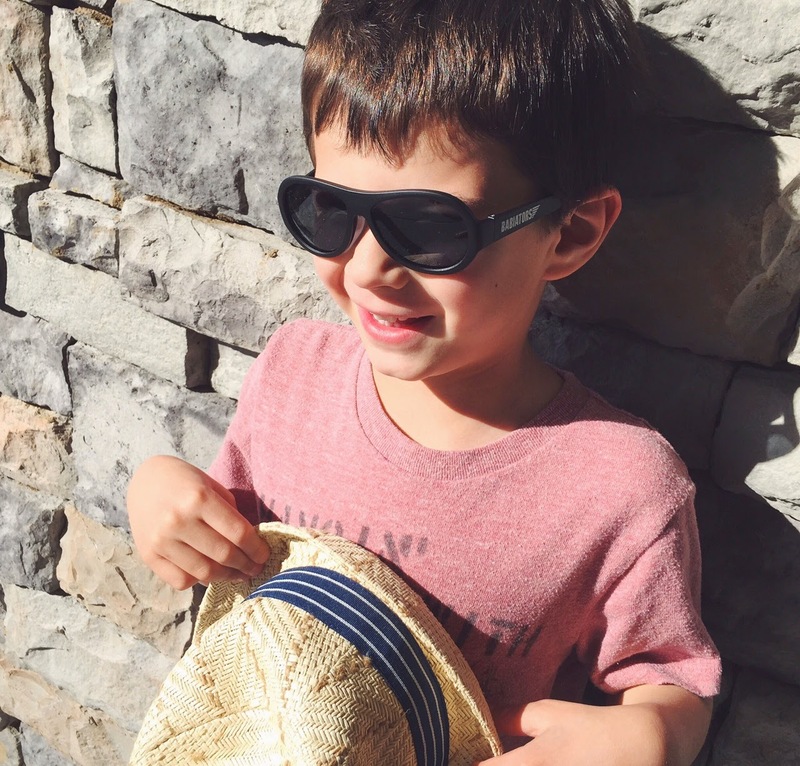 Molly shared her idea for safe, stylish, and durable kids' sunglasses with her aviator husband Ted, and her long time friends Carolyn and Matthew Guard. The company launched in 2011 with Carolyn and Molly working from their kitchen tables. Today, the Babiators "Crew" is growing fast and quickly becoming a leading children's retail brand. Forbes Magazine recently named Babiators one of America's 100 Most Promising Companies of 2014! From their world headquarters in Atlanta, Georgia, Babiators are currently available in more than 45 countries. Yeah, cool staff. It is so important to protect our kids and they are also fashionable. BTW my 2 year old son loves all kinds of glasses. I can imaging that he would love them. Dylan is only 9 months old so he still getting adjusted to wearing them but Jack loves them!